Queen's Hall Arts has once again has a packed new season of the highest quality drama, live pop, classical, jazz and traditional music, exhibitions, ballet, film, and performances for children. And of course pantomime with Oddsocks’. · Newly commissioned work from Tender Buttons in September, an in-house production of an Alan Ayckbourn ghost story in October, and newly commissioned children’s theatre from Puppetship in November. · A major new programme of digital work in our galleries kicking off with the magical Sprite Symphony in September. · Unlimited Theatre and Paper Birds bringing nationally acclaimed work to the Queen’s Hall as part of a major new consortium initiative. 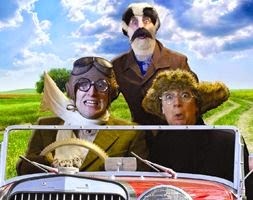 Oddsocks Productions return at Christmas this year with their pantomime take on the classic children’s novel The Wind in the Willows. Join Mole, Ratty, Badger and Toad as they adventure along the riverbank…oh yes they do! A big offerring for little ones this season with the puppets of the Pied Piper, Gruffalo creators Tall Stories with Emily Brown & the Thing, Clydebuilt Puppets’ Rapunzel, Once in a Blue Moon from Wriggle Dance and QHA’s own production of In a Nutshell. Great Drama Offer: Buy 2 shows get 1 free in a Great Drama Offer. Choose from MONEY the game show (featuring £10,000 in real pound coins! ), We’re Not Going Back from Red Ladder, David Almond’s Heaven Eyes from Hexham’s own Théâtre Sans Frontières, John Godber’s Bouncers, Thirsty from Paper Birds and Not About Heroes explores WW1 poets Wilfred Owen & Siegfried Sasson. BITESIZE drama is a great way to enjoy great new short plays with great new food from the Little Angel Café. Watch out for Sounds and Guts from Tender Buttons and QHA’s own production of Alan Ayckbourn’s Haunting Julia. 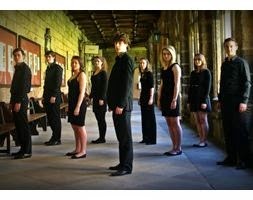 A £12.50 ticket covers the show, accompanying food and a drink. BBC Radio Newcastle presenter and one of the north east’s favourite comedienne’s Sue Sweeney presents a night of rib tickling laughter when she’s Live and Unleashed. Exhibitions at Queen's Hall Arts have a local flavour this season with exhibitions from Helen Pailing who has been Artist in residence at VARC in Tarset, and from photographer Iain Duncan who explores the ecosystem of lichen on Hadrian’s Wall. The venue will also host two new digital exhibitions; Sprite Symphony featuring musical fairies in jam jars and artist Lucy Pawlak who uses streaming technologies to create moving images and live performances. 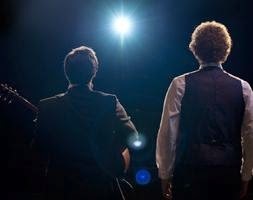 The Simon & Garfunkel Story, Classic Clapton, Counterfeit Sixties and Buddy Holly & the Cricketers are appearing throughout the season with their own tributes to these legends. In October sees the return of Young Opera Venture with their acclaimed production of Mozart’s great final masterpiece, the Magic Flute. In October Ballet Cymru arrive with their sparkling and refreshing ballet Beauty & the Beast. Hexham Film Club is showing Nebraska in September, Plein Soleil (the original Talented Mr Ripley film) and the modern day Irish musical film Once. The season rounds off with two classic films from the 60s and 50s, Dr Zhivago and White Christmas. There is a talk from local historian Stan Beckensall on the special places of Northumberland, a book launch from ex-SAS turned author Chris Ryan and a lecture by South African Rob Caskie on the Anglo- Zulu war (made famous by the Michael Caine film Zulu). Add in performances from Hexham Amateur Stagec Society, Queen’s Hall Theatre Club with Blackadder Goes Forth, Paul Edis Sextet at Jazz in the Café and performances in the Hexham & District Music Society from Wu String Quartet, Aurora Wind Quintet and Renaissance … and much more, and what you get is another full and action packed season of the best in theatre and arts. 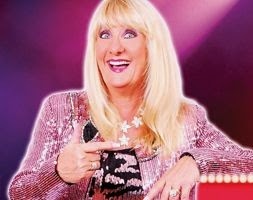 The North East’s favourite comedienne; a non-stop, rib-tickling night of laughter with BBC Newcastle’s Sue Sweeney in her ‘Live and Unleashed’ stand-up comedy spectacular. The Island is home to one human being and a huge colony of sea birds. Tender Buttons will take you on a theatrical tour of The Island, through a labyrinth of archive film, field recordings and collected stories of solitude. Sounds & Guts is a playful tale about the fine line between being alone and being lonely. Using huge projection photos and original film footage, The Simon and Garfunkel Story features a full live band performing all the hits including Mrs Robinson, Cecilia, Bridge Over Troubled Water, Homeward Bound and many more. Playing with £10,000 in real pound coins, you are invited to bet long, short and hedge, as Casino and Queenie challenge you to play a series of high stake games that demonstrate how the world’s economic system came to the brink of collapse. A puppet play for children aged 3 to 7 and their families. 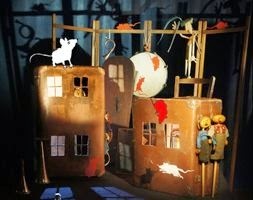 When the Pied Piper plays his flute the rats run, the greedy mayor rubs his hands and the children dance... a humorous and irresistible one person show combining a skilful mix of puppetry, foot-tapping music and storytelling. 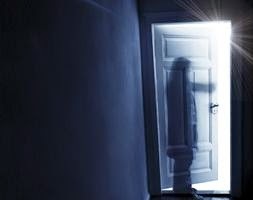 Haunting Julia is chilling ghost story that manages to encapsulate Ayckbourn’s trademark timing and wit. A twisted study of grief, obsession and the supernatural, that will have you jumping out of your seat. To mark Shakespeare’s 450th birthday, Queen’s Hall Arts is delighted to be working in partnership with the UK’s largest youth drama festival. Tall Stories (creators of the hugely popular Gruffalo stage show) present their brand new show. One evening, Emily Brown and her old grey rabbit Stanley hear a Thing crying outside their window. 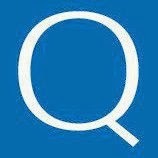 What’s really troubling the Thing? 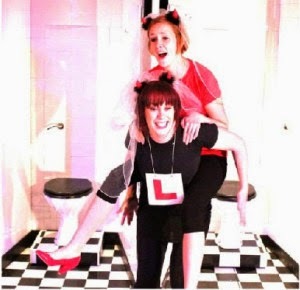 Find out in this magical, musical show for everyone aged 3 and up. Based on the novel by internationally renowned children’s author David Almond (Skellig), Théâtre Sans Frontières brings its own inimitable style of story-telling to this spellbinding and other-worldly tale about young people trying to find their way in the world. Mozart’s final masterpiece has become one of the best-loved operas in history. It combines comedy, pantomime, love story, fantasy and philosophy in marvellous music. Judd, Ralph, Les and Lucky Eric invite you for a night on the town in this hilarious and outrageous look back at the 80s nightclub scene. In the tatty, glitzy glamour and flashing lights we meet the smooth talking DJ, the lager swilling lads, the lip-sticked, lacquered girls and many more gyrating to the pulsating beat of the dance floor. With specially recorded music, beautifully made rod puppets, and Steve Smart’s masterly puppetry skills, this is a show that is enjoyed by adults and children alike. A new show for families ages 4+ years. Ballet Cymru presents a sparkling and refreshing ballet using stunning costumes, breathtaking choreography, heartbreaking passion and the company’s unique blend of classical technique and storytelling. Re-live the sounds and the magic of the swinging sixties; a showcase of the great bands of this unforgettable time.